As any fashion fan with access to the Internet will attest, effortlessness is the staple of every street-style fashion darling from the Tuileries Gardens to Soho. Leandra Medine and Elin Kling, eat your heart out. But the appearance of effortless cool is not easy to achieve, and overdone hair can make or break a look. Just because it took you five long hours and your body weight in bobby pins to get that messy top-knot just right, doesn't mean you want people to see all the hard work that went into it. 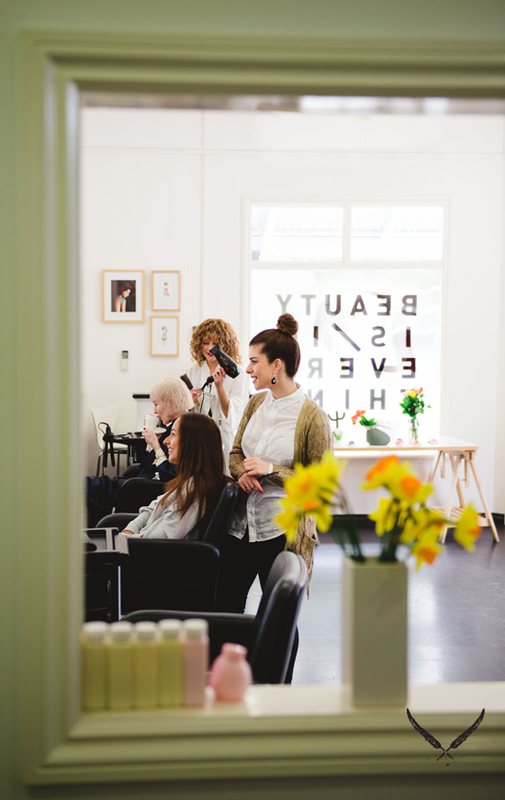 To achieve I-just-rolled-out-of-bed chic, we need all the help we can get, so when the tres cool, no bullsh*t hairdressers at Brisbane salon Lila Boheme started dishing out their style tips, we started taking notes. As some of the best hairdressers in Brisbane, Lisa Guardala and her team (senior stylists Effie Flaskos and Nicola Gangemi, and colourist Sara Lukanuik) are old hands when it comes to wrangling the follicles of well-heeled fashionistas — Gail Sorronda has them on speed dial and their portfolio is packed full fashion shows and magazine editorials. Lila Boheme is a distillation of Lisa and her crew's no nonsense approach to hairdressing: simple design, personalised service, the use of natural and sustainable products, and their unmistakably cool attitude make it one of our fave' salons to have your locks tended to. We sat down with Lila Boheme's styling wunderkind, Effie — who's recently returned to Brisbane from Sydney — to get the low-down on the four hairstyles to instantly up your street cred. Read on for cool hair! This super-easy, classic up-style is perfect for a day at work, or even a special occasion when you can't get to the hairdressers. Step 1 | First, spray Kevin Murphy Hair Resort Texture Spray through dry hair to give some added texture and grip. Step2 | Then sweep hair to the side and wrap it around your fingers to create a circle before fastening with bobby pins to the side of your head. Step 3 | Spray KM session spray on fingers then pat your hair to smooth down any flyaway hairs. Then place the hairnet over the top for a quirky cool twist. Sure it looks like you just let your hair down, but there's a bit more to it than that. Perfectly paired with a take-no-prisoners bold lip color! Step 1 | The best way to create a tousled wave at home is to first prep the hair. Make sure it's oil free, so use KM dry shampoo in your roots to soak up any oil. First section the top half of your hair away in a clip. From that, create four sections — from ear to cheek, then ear to back of neck, and same on other side. Step 2 | Take the first section, wrap hair around a curling tong for a few seconds then unwind and wrap back up into pin curl and fasten with bobby pin or flat clip. Repeat the process with the other sections, both front and back. Step 4 | Take out pins, then shake hair through, even brushing out with a Maison Pearson brush to avoid static. Lastly, sprinkle some KM Powder Puff to give bed head hold and volume. A well-placed, super-sleek and sky high pony never goes astray, so this is one of the best to have in your street-style repertoire. The colour twist in this style will have you completely on-trend. Step 1 | Flat iron hair first to get super straight ends. Then, tip your hair upside down and brush, brush, brush any lumps out of the hair! Keep brushing until all hair is inside one hand. Step 2 | Use a gel, like KM Supergoo to smooth over hair and brush into a sleek high shine. Step3 | Use a tight rubber elastic to fasten, then use more Supergoo or Session Spray to re-smooth any flyaways. Step 4 | Lastly, KM Colour Bug in pink is used over the ends for an added pop! There are heaps more colours available and it will wash out in one wash! There's nothing wrong with the side or back buns, but if you want paparazzi-stopping locks, then sometimes you have to think outside the square. Step 1 | Pre-curl or wave hair with tongs or irons. This step is important so the hair will have more grip and wrap easier when creating your bun. Step 2 | Next, tie your hair into a ponytail high onto top of your head using same technique as the high pony. Step 3 | Then brush ends and wrap into a donut shape and fasten with bobby pins. Use hair spray to hold. 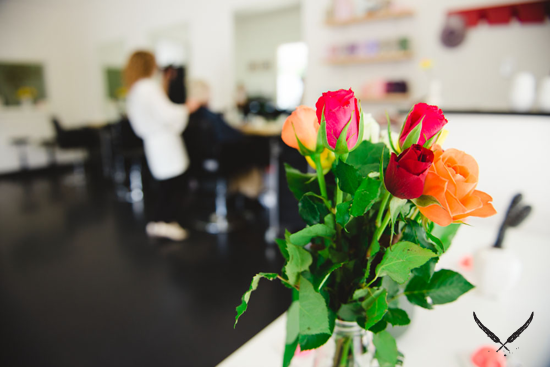 Need more hair hotness from some of the best hairdressers in Brisbane? Then visit Lila Boheme for your full fix of fashion-worthy hairstyling, colouring, and cutting! TUL Note: Today's List Love post is proudly sponsored by Lila Boheme and endorsed by The Urban List. Our sponsored posts will never be a secret — the List Love seal will be stamped on any sponsored material you see on the site. Thank you for supporting the sponsors who make The Urban List possible.